Important agreements often need to be notarized. But what does that mean, and how can you get your documents notarized? A notarized document is a document that has been certified by a notary public. The notary public is an official who verifies the identities of everybody signing the document, witnesses the signatures, and marks the document with a stamp (or “seal”). A notary in Maryland and DC is supposed to ensure that all signatures on a document are legitimate. Identity verification: A notary requires identification from anybody signing a document, and will record details about the identification documents used by each individual. Willing signers: Notaries look for signs of coercion. Even if you don't like what's in a document, are you signing on your own free will, or is somebody forcing you to sign? Capable of sound decisions: A notary wants to make sure that signers are in a condition where they can truly understand what they’re signing. If an individual is intoxicated, medicated, or unable to understand what's happening for any reason, the notary cannot notarize the document. A notary will refuse to validate a signature if there are any potential problems with the signer. To get a document notarized, visit a notary public, prove your identity, and sign the document. Official identification: The notary will ask for identification to verify that you really are who you say you are. You’ll need official identification with a photograph—a driver’s license, passport, or other government-issued ID will typically do the trick, although requirements vary from state to state. If the notary is not confident that you are who you say you are, he or she can refuse to notarize your document. Nobody is required to notarize anything. Wait to sign: Be sure to bring an unsigned document to the notary—don’t sign it ahead of time. The notary needs to watch you sign in most cases. If you can’t easily find a notary in Maryland or DC, search online for a “notary public” with your city name. Mobile notaries will often travel to your home, office, or other location to assist with documents. 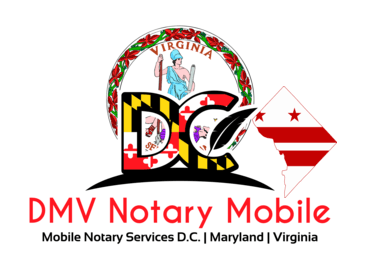 What Types of Businesses in DC and Maryland Benefit from a Notary?